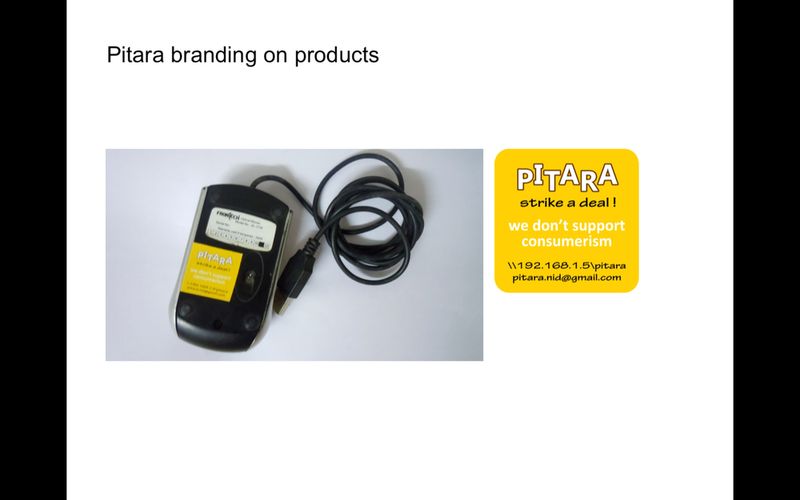 Pitara, a service in campus — A.M.
As part of a service design course during my Masters in Strategic Design, our group conceptualized and implemented a unique campus initiative called Pitara, which is a service to extend the life cycle of existing products. Pitara (which means Pandora’s box in Hindi) is an integrated service provider in National Institute of Design (India) that provides a platform for buying and selling of goods that may not be of any use to one student but address another’s need. This service also provides 100 percent disposal solution through third-party tie ups. This service has now become a part of college campus in NID. This is not only a low cost buying option but also helps students get rid of additional material as around 80% of the material in their rooms lies unused. Students are thus also able to get some money by selling the material. We also wrote a paper about this service, which got accepted by DESIS (Design for Social Innovation and Sustainability) in India. All works © Akshata Malhotra 2019.